The Machame route is also known as the “Whiskey” route, nowdays the most popular route on Mt. Kilimanjaro. The walking days on the Machame route are longer and often steeper, compared to the Marangu route, but the scenery is stunning and the landscape is quite interesting. This route is known to be challenging, which is why it is best suited for people who have previous experience hiking and backpacking. The Machame route is scenically beautiful and diverse, but due to its a popularity often very crowded. 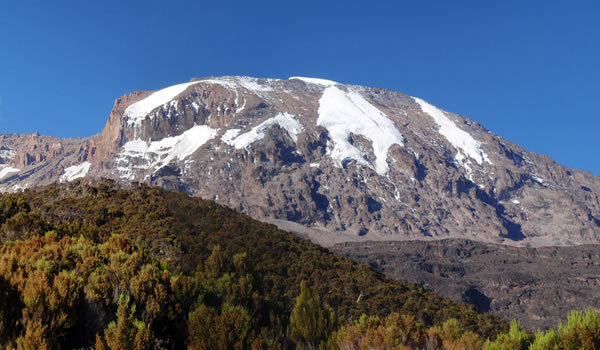 It approaches the summit from the southwest and descends using the Mweka route. Hikers are rewarded with a spectacular view of the extensive Shira plateau and an optional scramble up Lava Tower. A climb up the Great Barranco wall and a traverse underneath Kilimanjaro’s southern ice field are also bonuses on the Machame route. Climbers sleep in tents at designated campsites; meals are served outside when the weather is favorable, or inside a large dining tent when it is not. The meals are prepared by the Bless Africa staff, as well as putting up and taking down the tents. This route has highly successful rate for reaching the summit. On Machame you will climb high and sleep lower, due to the positioning of the campsites, which helps tremendously with your acclimatization and increases your chances of reaching the summit. You will be picked from your hotel in Moshi at around 8:00 A.M. and transferred to Machame gate, a journey that takes you through Machame village, located on the lower slopes of Kilimanjaro. After finishing sign in formalities at the gate, you’ll be provided with lunch boxes and water. The Bless Africa crew will organize all the luggage and food, weigh them, and then get the necessary permit. You will then begin your hike through the rainforest on a twisted path up the ridge. The trail can be muddy and slippery, so the gaiters and trekking poles could come handy. 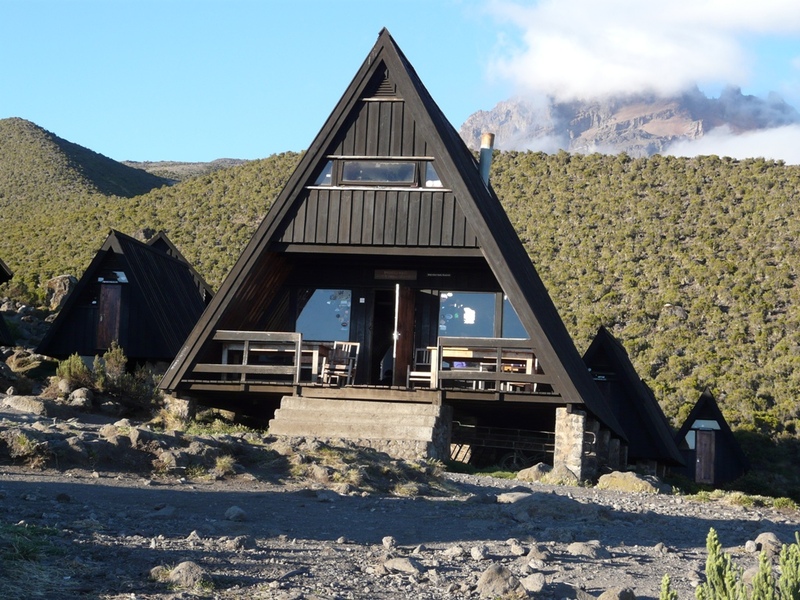 You will have lunch along the way, as we continue with our trek to Machame Hut campsite. Hike to Shira Cave Campsite begins after breakfast. The rainforest will be left behind, and we’ll cross the little valley and walk beside the rocky ridge. Lunch will be served along the way, followed by final hike to Shira cave. Later, in the afternoon, acclimatization walk commence to help you get used to the altitude. Dinner will be served at Shira cave, where you will rest for the day. We depart Barranco after breakfast, continuing on a steep ridge at the base of Barranco Wall toward Karanga Valley campsite. Hot lunch will be served at the camp. Later in the afternoon, you should go for acclimatization walk. Dinner will be served at Karanga valley, where you will also spend the night. You will continue trekking to Barafu after breakfast, from which the view of the summit tends to be different as you shift angles. 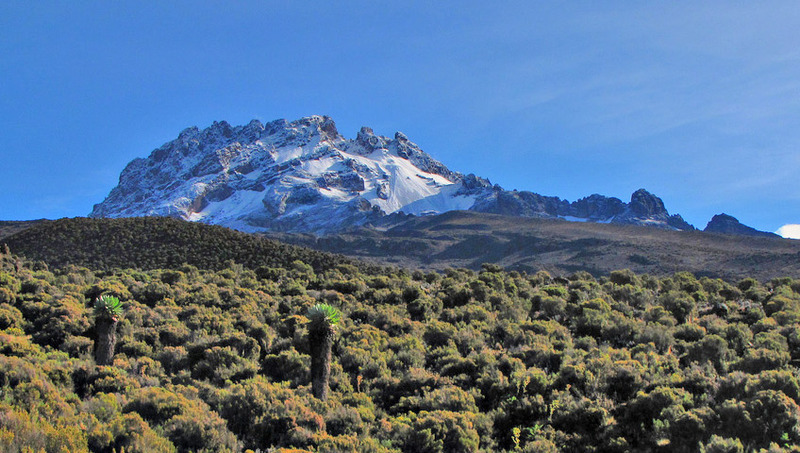 Once we reach the campsite, you can get the excellent view of the summit, but also enjoy the sight of Kibo and Mawenzi peaks. Dinner will be served early, and you should rest and prepare for the final ascend. Please note that we can arrange joining group climbs, group size between 5 and 9 people, and every individual pays the same price – $1,600. Option for all climbers looking for the budget climbs. Recommended salaries for porters and guides.